Wales give up a penalty fest in the Aviva stadium to lose their second successive six nations encounter. Wales gave away more penalties in the first quarter of the match against Ireland than the whole game at Twickenham, yet the true reason for this Welsh defeat was the fact that they could not gain or retain much of the ball, 31% possession is not a statistic that wins test matches, and again this was a test match to savour. An early Halfpenny penalty gave Wales the lead but that lead seemed sure to disappear when Ireland opted to kick for goal after the Welsh were penalised for not releasing, Johnny Sexton was back but unfortunately for the Irish fans, his goal kicking game was not. He took a few deep breaths, stepped up, imperiously struck through the ball and with pinpoint accuracy hit the post. This was to be a feature of his goalkicking, drifting left, drifting right, and just missing most of the afternoon. Ireland weren’t to worry though as the next few minutes was the tale of two miss pass moves. Scott Williams’ pass was adjudged forward gave Ireland an attacking opportunity, Johnny Sexton’s pass was not and gave Ireland their first try through Jacob Stockdale. Sexton missed the conversion and Ireland were leading 5-3. Despite the dearth of possession Wales were able to display their potency in attack, in the 21st minute, whilst playing advantage for a deliberate knock-on (where was the yellow card), Gareth Davies bamboozled the Irish defence and scooted over for a try, Halfpenny converted and ten minutes later added a penalty to his tally and Wales were leading 13-5, a rare Sexton penalty five minutes later made it 13-8. With the clock hurtling towards half-time Glen Jackson decided to penalise Wales for offside, Alun Wyn politely asked him about his decision, others would have been more forthright: I have poured over the re-run and can find no such indiscretion. Ireland found good position from the resulting kick and following some intense pressure, with the clock dead, Bundee Aki’s try and Sexton’s conversion gave Ireland the half-time lead of 15-13. The second half started much as the first had ended a 45th minute try from Dan Levy and a Sexton conversion made it 22-13 and a Cian Healy, of all people, try in the 54th minute seemingly put the game beyond Wales reach. 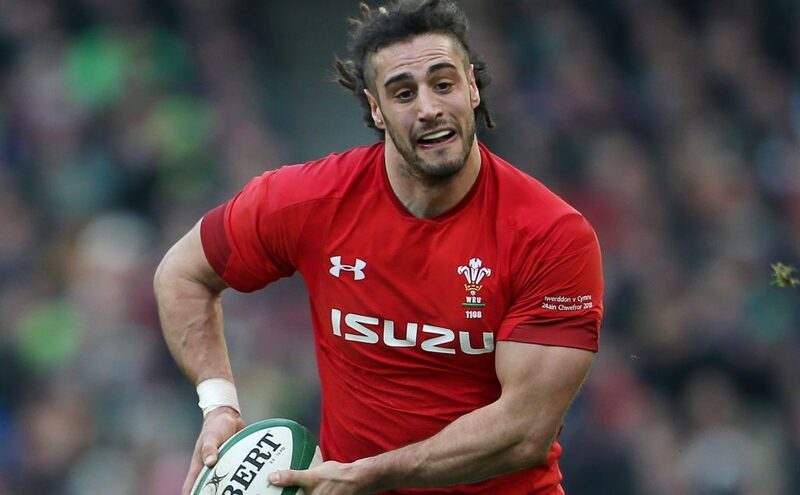 However Wales had other ideas, managing to glean slightly more possession, they remained potent in attack and a beautifully crafted try in the 62nd minute for Aaron Shingler( how did we not know before the Six Nations that he was this impressive) put the match back in the balance. Wales made a number of substitutions which added another tier to their attacking capabilities, specifically Anscombe who brought more urgency at outside half. A Connor Murray penalty extended Ireland’s lead to ten points, from the restart Wales went wide and Steff Evans sluiced over for another try Halfpenny’s conversion brought Wales within three points and the game was set up for a grandstand finish. Maybe this game was really meant to be the tale of the miss passes, with Wales pressing Anscombe attempted a floating pass to the outside. Had that pass been but a foot higher Wales would have, undeservedly, won the game, as it was Jacob Stockdale gleefully plucked it out of the air, and with the clock again dead, raced under the posts for the try that sealed the game, Joey Carbery converted to make the final score 37-27. Ultimately Wales were the architects of their own demise, singularly their failure to retain possession, however, I feel that I cannot let this pass without comment about the refereeing performance. Test match referees do not get to be test match referees without being masters of their profession, they are normally unbiased and supremely competent, however this was as one-sided a refereeing performance as I have witnessed: no yellow card for a deliberate knock-on, Halfpenny was upended in the air on at least one occasion with no repercussion and the offside penalty just before halftime was like the Peace Of God – it passes all understanding. I am sure that Glen Jackson is a competent referee, it just seems that he doesn’t like Wales, and I would rather share an Air B&B with Oscar Pistorius than see him officiate at another Wales test match. Wales will go home to lick their wounds and regather their thoughts ready for the final two home games of this competition, and I for one can’t wait! © Rugby Life Wales - Copyright 2018. Rugby Life is published under licence by Good Life Industries Ltd. Whirr/Ciick/Create.